I have been working on bulking up the site a bit and have added a few things of interest. This will be a list of appearances in print, web and broadcast that I can find from more “reputable” places. I will add links and information about the mini movie in this area. Each song now has its own page, you can find them through the releases section or through the First Performance Date list. I have started adding flavor text about each song. So far only Tamam Shud is done but more on the way in the future. The live history is now complete, minus a few videos of course. I will continue to search the web for more to add. The end goal is to get footage for every show possible. Yes, I know there are a couple shows with no footage at all, we will just try to forget that. I have added pages for each song the group has done. You can get to them through the track lists on each separate release or through the Songs by First Performance Date list. That is the only way to see the listing for SALEM since it has not been released yet. If there is an MV that goes with a song and it is on the groups official YouTube, I have it linked in the song’s listing. Sorry, I did not link the version of VULTURE that is out there. You should all be able to find it easy enough if you want to see it. I do have Ricky’s reason for removing it from the official YouTube on the songs page. I am hoping to get some lyrics up for songs that I have them for. As of this time I do not have official translations for some songs on NEMESIS and all the releases before it. I will keep working on the site. Is there anything you are hoping to see? I have for the most part finished the live show history for the years 2014 and 2015. There are only some small details to fill in on a few of the entries. I am still trying to track down set lists and any live footage that might be out there. If you know of any that I do not have in the history already please do let me know. een working pretty hard at this and I am keeping a pretty good pace. Still looking for video and set lists for any shows that do not have them yet. I am still trying to finish dates through the end of 2106 by the end of the month. Remember if you have any information that may be helpful, let me know. Direct message me on Twitter, or use the contact page. 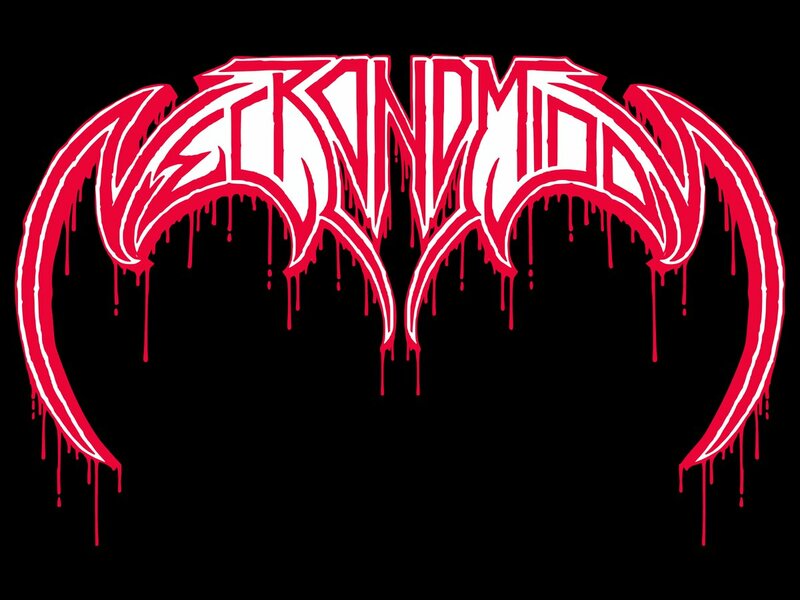 Fun fact: Did you know NECRONOMIDOL adopted the second version of their logo on July 11th 2015. The website seems to be progressing well. I have updated all current member profiles with updated links and photos. The new photos look great. I have added all live shows to 2014 and am still looking to add a bit more information to the entries. I have started on 2015 just finished the basics up to March. There is still a lot of work to do and I will continue, hopefully at a good pace. I am shooting to have the live history done up to the end of 2016 by the end of the month. I also added a couple of pieces to the miscellania section. I have added all known official releases by the group. I have also added basic information to each entry. I am still working on the layout a bit but the basics are there. I hope to add more details to each entry in the future. Remember, if you think you have something to contribute just send me a direct message on Twitter. Every bit of information can only make the website better. First, I would like to thank Ricky Wilson and all the members, past and present, including staff for all the great music. You have my eternal support. Now, come join me as I document the past, present and future of NECRONOMIDOL, the ultra-dark themed idol unit from Tokyo, Japan. This is a huge undertaking and I am but one person so it may take me a while to get everything sorted out and all the pieces in their correct places so please bear with me. I have a pretty good backbone down in documents but I still have to get those transferred over and to my liking. I will be getting a contact page set up soon. Right now you can contact me through my Twitter: https://twitter.com/StraightFromJpn by direct message for any items or bits of information that you think I may be interested in concerning the group.